1. Add a spoon of Hazelnut & Cocoa Spread into a mug and add the boiling water. Stir well until it becomes a paste, and then add the instant coffee. 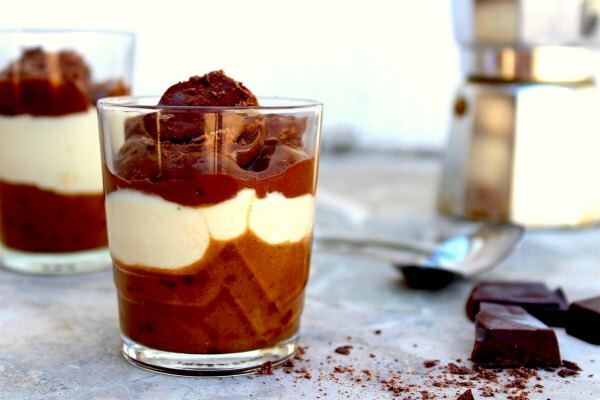 This is a really fun recipe to make a healthy version of Tiramisu!